Prototype: This tank locomotive Type Ec 2/4 with a front bogie was a first for Switzerland. 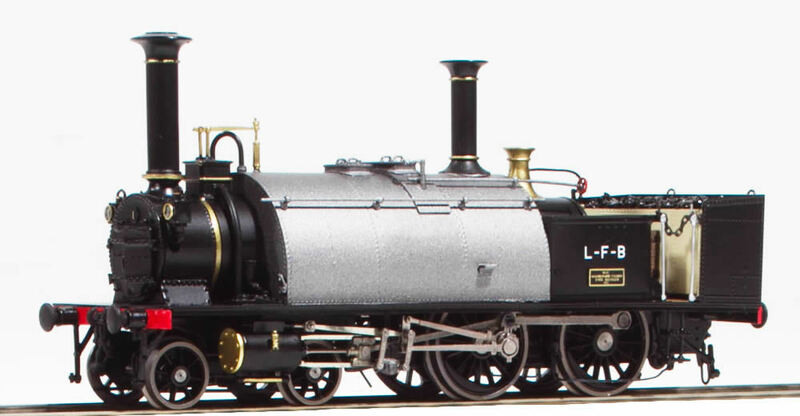 The loco was built in 1862 by the German machine factory in Esslingen for the Lausanne-Fribourg-Bern Railroad. The engine was called a "Saddle Tank" because the water tank was "hitched" to the frame and chassis. This construction gave her a very peculiar appearance but helped to distributed the weight more towards the drivers. Therefore the wheel base could have been extended to 6090 mm, which increased the adhesion tremendously. They also avoided, with this construction, the overhang of the frame, boiler and cylinders. Despite of its weight of 27 tons the locomotive had great running characteristics. The locomotive is very interesting from a historical standpoint also, because it was the first version in Europe of a 2/4 with the cylinders located inside the bogies. Model: Fulgurex models are among the finest and most collectible handmade models in world. 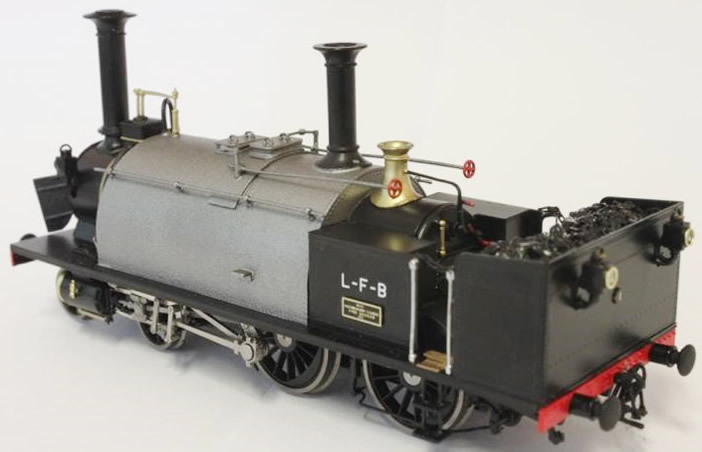 Fulgurex models are handmade and hand painted by "Old-World" artisans which have made Fulgurex locomotives the most sought after items by collectors all over the globe. 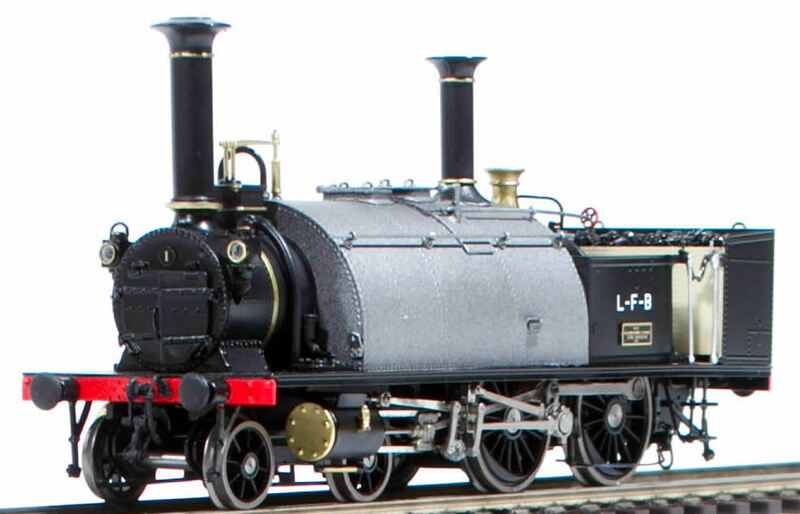 The locomotives are truly the epitome of fine craftsmanship - the Mercedes of the European Model Railway Industry! Many Fulgurex models are produced in quantities less than 40 worldwide, so they are very collectible. Model is equipped with a brushless, ironless, high efficient motor with flywheel. 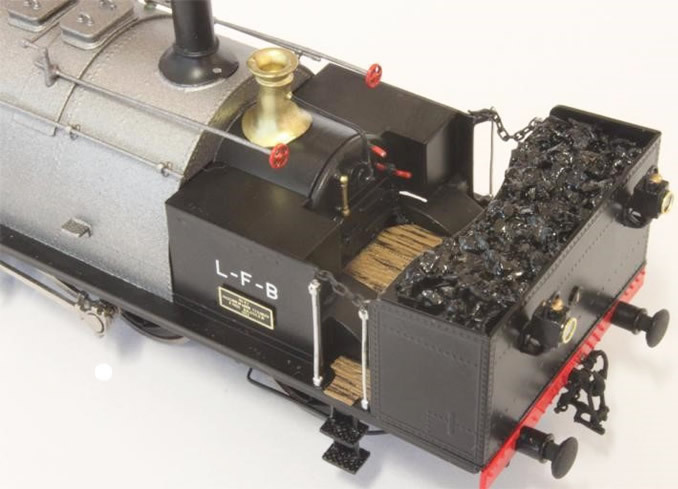 Other details are: Boiler hatches can be opened, floor boards are real wood and coal was mined in Switzerland.